Petr Sochůrek from the Czech Republic had ended the 2015–2016 season at Platinum, the highest level in the Pro Players Club. 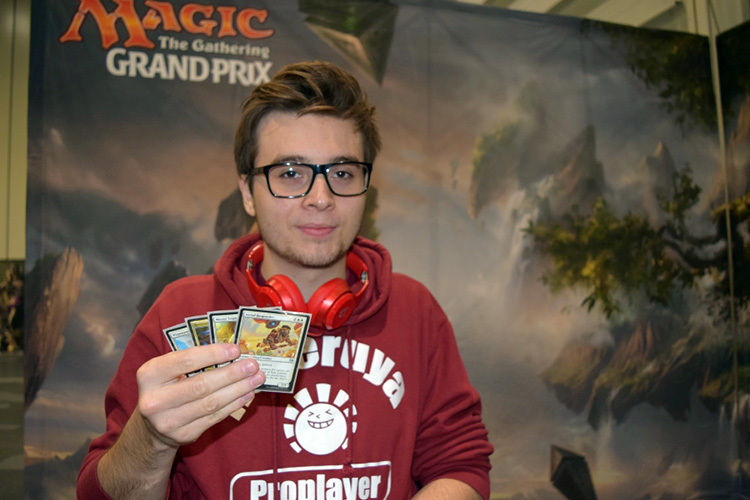 The new season was still young but already Sochůrek had finished in the finals of Grand Prix Rimini and in the Top 4 at Grand Prix Kyoto. In fact, no one had earned as many Pro Points at the Grand Prix level in the season so far as he did. To continue this streak, Sochůrek now needed to build a strong deck from the cards in his six boosters. With each pack he opened, he very carefully, very slowly peaked at and revealed the rare card. Madcap Experiment he didn't like, Dubious Challenge was met with a sad face, Chandra, Torch of Defiance was cause for celebration, Master Trinketeer and Midnight Oil got a nod of approval, and Aethersquall Ancient completed the lineup and made for an overall quite happy Sochůrek. Once the cards were all registered it was time for business. Sochůrek first removed the chaff, then sorted the remaining cards of each color into two piles: one for reasons to play that color, one for stuff to fill out a deck with. 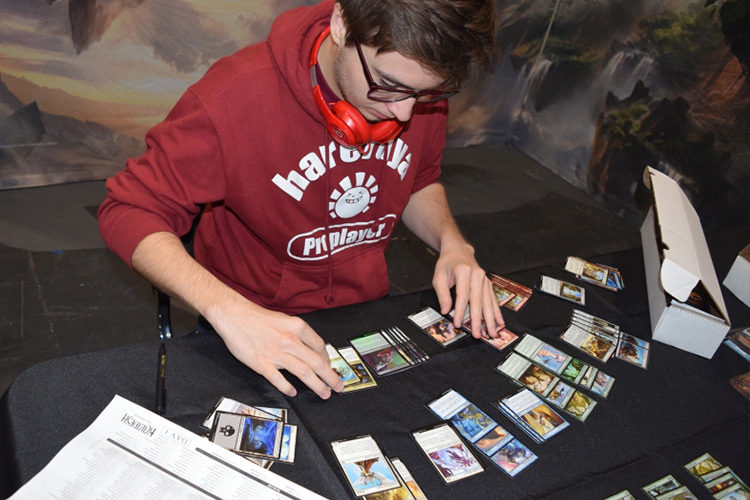 Green, often the basis for decks in this format, had very few entries in either category and was easily and summarily dismissed. Sochůrek laid out a white-blue deck. And discarded the idea after some deliberation. Then came a black-red deck which was even quicker packed away again. Then he tried white-black. Ah, now we were getting somewhere. With Restoration Gearsmith, Ovalchase Daredevil, and Fortuitous Find, this deck even had a little recursion theme going. Meanwhile, Sochůrek's two Renegade Freighters would bring the beats and Master Trinketeer plus Midnight Oil gave the build further late-game power. Sochůrek spend a lot of time optimizing the deck. Ballista Charger didn't make the cut, Ballista Charger did. As Sochůrek explained, "I need one more big guy to break through a stalemate. In Draft I wouldn't run it, but in Sealed I think I can afford to play a third Vehicle. Plus, a lot of my creatures have bigger toughness than power, so are more likely to stick around to crew them." Just to make sure he wasn't missing anything Sochůrek laid out the red-white deck. 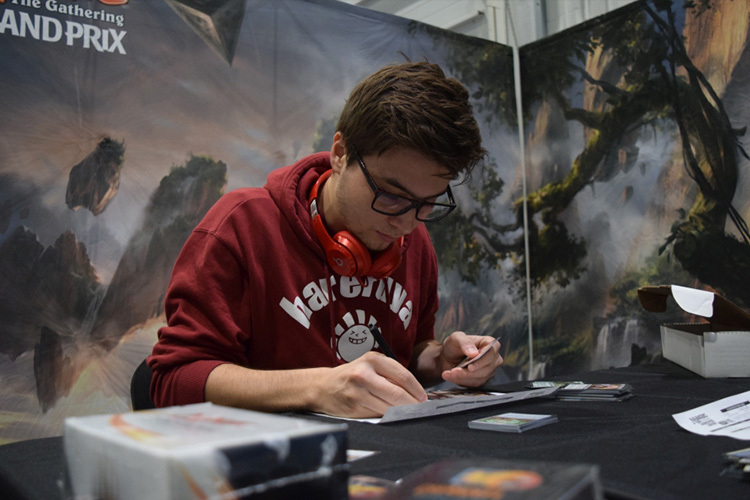 Said Sochůrek, "I really wanted to play Chandra or Aethersquall Ancient, but the overall quality is so much lower, it's not worth it." Back to white-black. Further fine tuning led to the removal of Prakhata Pillar-Bug. Then Sochůrek agonized over the choice of Inventor's Goggles versus Fortuitous Find. "I have something like five Artificers, but there might come a point where I have a useless Vehicle around and then topdeck this. And in a way Fortuitous Find is an artifact too," said Sochůrek, referring to a bunch of cards in his deck that want to have an artifact around. "The deck looks a little underpowered to me. It doesn't have great bombs or great removal, just solid cards. I was hoping for something better, but I guess it's fine. I hope I can steal some games with Renegade Freighter," said Sochůrek and grinned. "That card's insane."